Today’s business world has become so interconnected that most businesspeople now regularly work with colleagues, customers, or suppliers from other cultures. Not everyone in the world shares American attitudes toward the workplace, however, and learning how to recognize, read, and adapt to cultural signals is essential to succeeding in today’s global business marketplace. 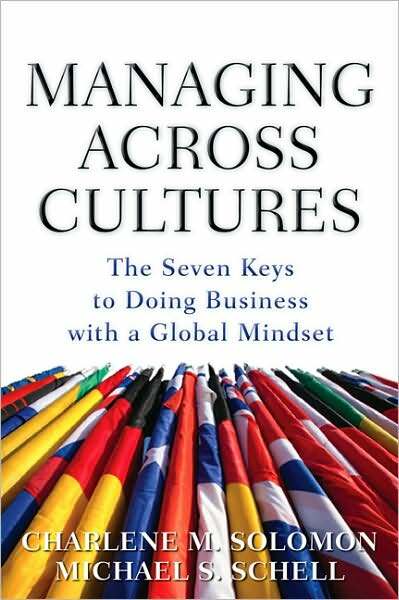 In Managing Across Cultures, Charlene M. Solomon and Michael S. Schell show readers how to use the CultureWizard (CW) Model to develop a global mindset that will help them work effectively with people from other cultures. By integrating the seven components of the CW Model into one’s attitudes and behaviors, and then using that understanding to forge effective business relationships, managers and businesspeople in general can better negotiate the challenges that the global workplace presents.